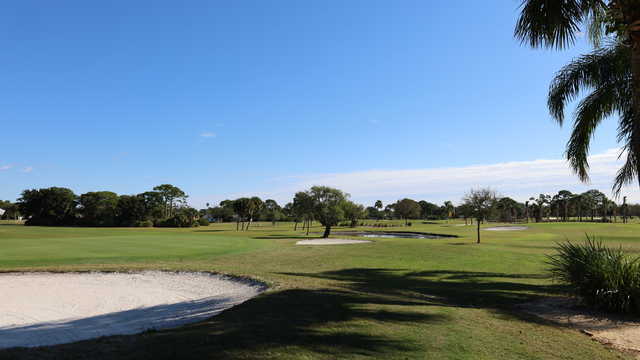 The Saints Golf Course is owned and operated by the City of Port St. Lucie. Located at 2601 S.E. Morningside Blvd. in a tranquil residential neighborhood, the Saints Golf Course consists of an exceptional 18-hole championship course, driving range and practice area. The Saint’s clubhouse houses a fully-stocked pro shop and a restaurant, pub and rentable banquet room. Our goal at the Saints is to provide you with a great golfing experience every time you tee the ball up. Our staff is dedicated, helpful and friendly. Please let us know how we can be of service. We hope you enjoy the game and our beautiful course.